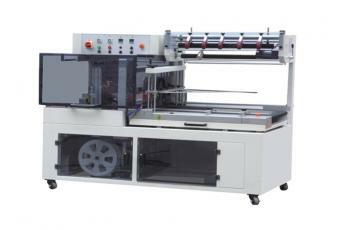 ST-ARPM Automatic Fabric Roll Packing Machine is designed to pack fabric rolls in vacuum & automatic way. ● Fully automation, reduce labor force. ● Material saving than traditional plastic bag. Remark: Max. roll width can be designed & manufactured upto 3200mm. 1). The fabric rolls are transported by the Inlet Conveyor to the Main Packing Unit for both width and side sealing through a polythene film. 2). The width and diameter of the incoming rolls are detected by the sensitive photoelectric sensors and optical fibers so as to ensure there will be no polythene film wastage during packing. 3). On the completion of the side sealing, the packed fabric rolls are transferred to the Heat Chamber so as to seal the polythene tightly over the fabric roll, which ensures a tight packaging effect. 4). The complete system is PLC controlled and the electrical components are placed inside a separate electrical control box for safety and onvenience of the operator and the maintenance staff. 5). The complete system can work independently or in conjunction with Fabric Inspection Machines for time being.